*Strasbourg/EU Parliament/Angelo Marcopolo/- EU Commission's vice-President, Jurki Katainen, former Prime Minister of Finland (current CoE President), speaking to "Eurofora" on the occasion of his presentation, at a Press Conference, of the Conclusions of EU Commission's Collective Meeting, Today in Strasbourg, on "Reviewing Relations with China", including a "proposal for 10 Actions", in the run up to the EU - China Summit of early April 2019, expressed his interest for a "Closer Cooperation with China on Space" High-Tech, particularly in "certain areas" of shared interests, as he told us, in a brief but topical and exclusive interview, (which evoked also CyberSecurity topical issues : See Infra). - Observing that EU Commission's relevant Anouncement, presented earlier by Katainen, included, inter alia, also a call to "Deepen" EU's "Engagement with China", also "to promote Common Interests at Global level", as well as the Fact that; notoriously, China has Recently, being Moving quite fast into Developing several High-Tech Capabilities in Space, (including, f.ex., Landing at the Other Side of the Moon, where Europe, after the USA, has also anounced its wish to take part, as well as the eventual creation of a New International Space Station at Orbit, etc), "Eurofora" asked the vice-President of EU Commission whether he thinks that "there might be Interesting Perspectives in the Future, for Cooperation between China and the EU on Space ?" - "Certainly ! ", immediately Replied Katainen from the outset, on this key point, positively. - Indeed, "We (EU) can imagine a Closer Cooperation with China on Space", he explicitated. - "EU is Investing Heavily on Space", EU Commission's vice-President reminded. - "Especially to Private Companies and to (Scientific) Research". - "So, it's Fundamental for Developping Future Technologies, Communication Technologies, etc." + "And also it's Fundamental in terms of Security", he added. => "Thus we (EU) are Working very Strongly this." + "And this is, by the way, an Area where (EU) Member States have indicated, very Clearly, that European Added Value is the greatest, because No Country Alone can Address these Challenges without cooperation with Other (EU) Member States". - "But, in Certain Areas in Space Policy, we could imagine to Cooperate also with China", EU Commission's vice-President confirmed. - "Because it must be Carefully Selected", he advised, (See also Infra). 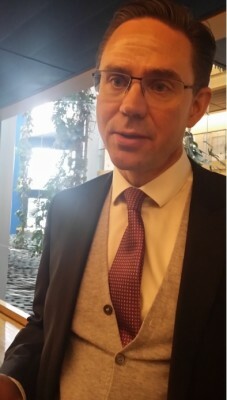 On anOther concrete Point, Katainen did not specifically mention now China's recent succesfull landing at the Other side of the Moon, neither ESA's plan to reach Mars together with Russia, nor USA's new President Don Trump's landmark decision to give NASA a Huge Budget for Space Exploration (2019+), where ambitious Moon/Mars plans are at the focus, with Europe willing to participate (etc), as ESA has reportedly just declared its will to advance towards the Moon, etc. But this normaly is part and parcell of overall Space Policies. - "It's very Difficult to Assess whether the Danger is Higher Now than before, (2019 compared to : Comp. Supra), and Where the Potential Danger comes from. 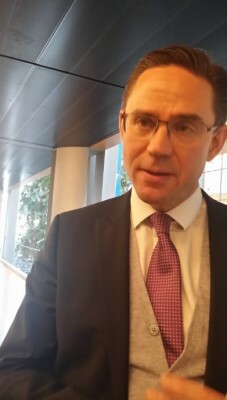 I doN't want to Blame any Country in particular", Katainen Carefully stressed from the outset, in his Reply to "Eurofora"s Question on CyberSecurity. - "But, since what has being Happening during all those Leaks, and Cyber-Attacks against our (EU) Member States -for instance : Interferences of 3rd Parties to our Electoral processes or Referendas, etc.- We (EU) have Deepened our Cooperation in CyberSecurity". - "This is again an area where European Added Value is Great, because Any Country, no matter how Big, how Strong it might be, (in fact) it's Too Small to Address such Issues : We've seen that to hape even in the USA", he referred. "So, both (EU) Member States and EU Commission have been trading for Better CyberSecurity Systems, and this is going to be a Priority also for the Next (EU) Commission too (2019-2024), he foresaw for the Future. Concerning EU - China Strategic Cooperation, a Document released by EU Commission Today, during Katainen's Press Conference (Comp. Supra), notes, about "Cooperaion in the Cyber area", that, during "EU-China Cyber TaskForce"'s "Annual" meetings, the two sides "exchange views" in "Areas" such as "Government", "Norms", "Confidence-Building Measures", etc. 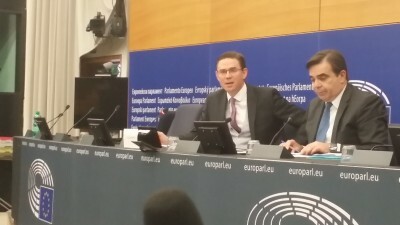 Concerning the Overall trend of Today's "Review of Relations with China" by EU Commission's meeting Today in Strasbourg, on the sidelines of EU Parliament's Plenary Session of March A, 2019, EU's High Representative for Foreign Relations, Federica Mogherini, reportedy stressed that "China is a Strategic Partner of the EU. We pursue Strong, Bilateral and Multilateral Cooperation, on Files Where we Share Interests... And we are Willing to keep Engaging robustly, Where our Policies Differ or Compete". Thus, "we propose to Strengthen our Relations with China, in a Spirit of Mutual Respect". + "EU and China have Committed to a Comprehensive Strategic Partnership", reminds a Document presented at Katainen's Press Conference Today, which advises to "ReFine Europe's Approach, to be More Realistic, Assertive and Multi-Faceted". 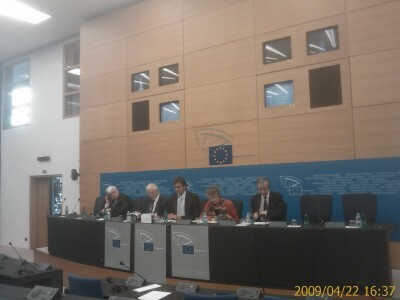 Nevertheless, that "Hot" and Topical BioEthical Issue, would, apparently, "Fit" Well with the Presentation made by Katainen at his above-mentioned Press Conference, at least on the level of "Principles", as also an Official EUCommisson's Document, distributed on this occasion, notes about EU's will, "Based on clearly defined ... Principles, (to) Deepen its Engagement with China to promote Common interests at Global level", and, particularly, to "Strengthen EU's Cooperation with China to meet Common Responsibilities accross the 3 Pillars of the United Nations: Human Rights, Peace and Security, and Development". ViewsNotes: EU Parliament March B: End of Mandate Atmosphere ? 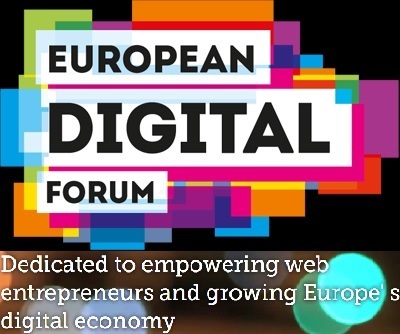 Digital High-Tech European/Global event on Smart Mobility in Paris: Press Invitation to "Eurofora"
New US President Trump more keen to Fight BioWarfare/BioTerror +Dual BioTech Abuse Worldwide ? Who is Hampering a real Counter Islamist Terrorism Decisive ReAction ? Source Conseil d'Europe à ERFRA: Debatre Liberté d'Opposants à Loi livrant Mariage+Enfants à Homos ? UN Head Ban Ki Moon at CoE World Democracy Forum : - "Listen to the People !" 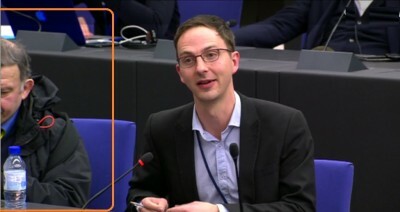 Head of BioEthics InterGroup, MEP Peter Liese : "Embryonic stem cell research reaching its END" !? Spain: Jailed Turkish Terror suspect with Explosive,Drones,Chechen accomplices stirs Merah+ Burgas ? EURapporteur on WhistleBlowers French MEP Roziere to EF: Assange should be Protected ! Armenia Prime Minister Pashinyan to EF for PanEuropean area of EU and Russia+: = Hope ! An "Eugenic" loophole Amendment, which might expose to Dangers reminiscent of "3rd Reich's" notorious Genetic Abuses, hidden at the last minute inside an otherwise Good, larger Health policy Package scheduled to be voted on Thursday, was strongly denounced by a coalition of MEPs from various Political Groups and Countries, in a Press Conference held this afternoon at EU Parliament in Strasbourg. Mainly calling to "Select Human Embryos", via "Genetic Counselling" and "pre-implantation" Techniques including "Genetic Tests", in order to "Eradicate Hereditary rare Diseases", it might open ways to Dangerous Practices in Future, they denounced in substance. But they also made it clear that a much larger Report inside which this Controversial Amendment "No 15" was added in dubious circumstances, officialy destinated to struggle against "Rare Diseases", and drafted by Professor Antonios Trakatellis, was otherwise "an Excellent Report", aiming at a "completely Uncontroversial target" of Health policy on which "all MEPs and Experts are united, believing that Europe should act" to protect People's Health (See "EuroFora"'s earlier News). The controversy came at a particularly delicate moment for the EU in relation to Citizens, at the eve of June 2009 EU Elections, and shortly before Ireland re-votes for "Lisbon Treaty"..
- Denouncing risks of "an Eugenic demand, very similar to what we had during the 3rd Reich in Germany, but now coming from some Scientisists themselves", German ChristianDemocrat/EPP MEP Dr. Peter Liese stressed that critical MEPs were against "Eugenic" engineering with "Selection of Human Embryos", and anything which might ultimately lead up to to a "Selection of Human Race". It doesn't help to "eradicate" Human Lives, he added. Several Experts and NGOs expressed "Deep Concern", as f;ex. DR M.C. Cornel of the "European Society of Human Genetics", which stressed, on this occasion, that "the importance of Non-Directiveness in Reproductive issues is a Central characteristic of Human Genetics, after the Atrocities committed in the name of Genetics in the first half or the 20th Century". - "This is completely Unacceptable", stressed Italian Liberal MEP Vittorio Prodi, on the Controversial Amendment, also because pushes to "eliminate early Human Life", as he noted. - "This opens a Dangerous Road, rather a Motorway", denounced Danish MEP Mrs Margrette Auken, from the "Greens", observing that various similar attempts were made in the Past "not only in Germany, but also in several other Countries, "even at the 1970ies", "f.ex. on forced Sterilisation of Roma" People, and other criticisable situations f.ex. in the UK, in Sweden, etc. as she said. + Other NGOs, as f.ex. "LebenHilfe" from Berlin, added that, among various other Risks, could also be that, by exploiting the pre-implantation Genetic Diagnostics and the Selection of "healthy" Embryos, some may "propagate" several "Eugenic" aims, starting f.ex. by pushing to eradicate Human Livies which might "Cost too much" to preserve, ultimately exposing to dangers reminiscent of the "3rd Reich"'s atrocious abuses. In consequence, ChristianDemocrats/EPP and "Green" MEPs "decided by Majority to vote against" this Controversial Amendment, anounced to Journalists the 5 MEPs who participated in the Press Conference, representing a wide spectrum, from Liberals to "Greens" and ChristianDemocrats, and from Hungary, Italy, Germany and Danemark up to Ireland (Gay Mitchell), etc. Hungarian ChristianDemocrat MEP Laszlo Surjan said "that it was "Suddenly, at the End of the Procedure" in Committee, that "appeared this (Controversial) Amendment, which has nothing to do" with the main purpose of the Report, on which all agreed. He denounced an "Unhonest" move, and called to "avoid this kind of unacceptable situations". Nobody should "Select People", Surjan stressed. Speaking to "EuroFora", Dr. Liese, the Spokesman of the ChristianDemocrat/EPP Group in EU Parliament, said that MEPs didn't oppose other references of the Report f.ex. on "Genetic Tests", because they were "no proposals" to impose them, while, on the contrary, there was "a Problem" if anyone attempted to "impose" f.ex. this or that Genetic Technique and "Genetic Counselling", etc. to the People on human reproduction. Controversial parts of Amendment No 15 ask mainly "to lead finally to the Eradication" of "Hereditary" "rare diseases", "through Genetic Counselling .., and ..pre-Implantation Selection of healthy Embryos". But EU Rapporteur Professor Trakatellis, said to "EuroFora" that fears should be alleviated by Guarantees that all this should be done only "where appropriate", when it's "not contrary to existing National Law", and "always on a Voluntary basis", according to other Parts of the Amendment. He stressed that the main aim was to allow "a free and informed choice of persons involved", without imposing them anything : - "It's not an obligatory, but advisary" text, he said. To make that point clear, he was ready, in agreement with many MEPs, to eventually drop at least that part of the controversial Amendment which initially called for "efforts to ..lead finally to the Eradication of those rare diseases" "which are Hereditary". But, until late Wednesday evening, reportedly together with many other MEPs, he stood by all the rest of the controversial Amendment, (fex. on the "Genetic Counselling" and the "pre-implantation Selection of healthy Embryos"), so that critical MEPs, going from ChristianDemocrats as Dr. Liese, to "Greens" or "Ind/Dem", observed to "EuroFora" that "this was not enough" to close the dangerous loophole. Particularly since, as Professor Trakatellis noted himself, "this is already allowed to the U.K.", and "other National Legislations would probably follow, sooner or later" in a similar direction. As for a general call to "Eradicate Hereditary rare Diseases", this "should happen, at any case, in practice, de facto", to protect public Health. On the contrary, "our goal should be to help patients suffering from rare diseases, not to eradicate the patients. In case of genetic disease risk, the decision should not be guided by scenarios" made by politicians. "Perents who may decide to accept a child, even if handicapped or with genetic disease, must be respected and supported with solidarity", critical MEPs stated. - "Any Pressure" to "a patient or couple (who "should be able to make an informed choice consistent with their own values"),"from health Professionals, Public Health Policies or Governemental Institutions, or Society at large, should be avoided", stresses the "European Society for Human Genetics". Each MEP's vote will be registered ! The Socialist Group requested a "Split vote" on the Amendment 15, first without, and afterwards with the words "lead finally to the Eradication" etc. But the first "split vote" leaves intact all the other parts of the Controversial Amendment, (i.e. "Genetic Counselling", "Selection of healthy Embryos", etc). That's why, 3 Groups of MEPs : ChristianDemocrats/EPP, "Greens/EFA", and "Ind/Dem", have asked for "Roll Call Votes", on everything regarding the Controversial Amendment No 15, and on the final outcome of the resulting Report as amended, which will register all the individual positions to be taken by each MEP. Crucial Votes were scheduled between 12 Noon and 1 p.m. local Strasbourg time, in the middle of a long series of various other Reports, and after a long Public Debate on the larger Health policy package, from 9 to 11.50 am. The specific Report inside which was hidden the controversial Amendment is due to be debated between 11 and 12 am. (Draft due to be updated). 2009 EU Elections were won by Parties against Technocracy and Turkey's controversial EU bid, while the 1999-2004 Majority Abstention trend decelerated. What should be done in 2009-2014 ? * My Media didn't clearly say which political positions won in 2009 EU Elections. It left it gray and confused. * Stimulte EU Citizens' active involvement in important EU decision-making, to completely reverse the 1999-2004 trend towards Majority Abstention, (and not only reduce it, as in 2009). * What Elections ? Which Europe ? And what has Ankara and Diyarbakir to do with Wienna or Poitiers ? * Elect New Top EU Officials according to Elections' results, and promote those EU Officials who expressed People's choices or sincerely accept to implement them. Copyright (c) 2007-2009 EIW/SENAS - EuroFora.net. All rights reserved. ISSN 1969-6361.